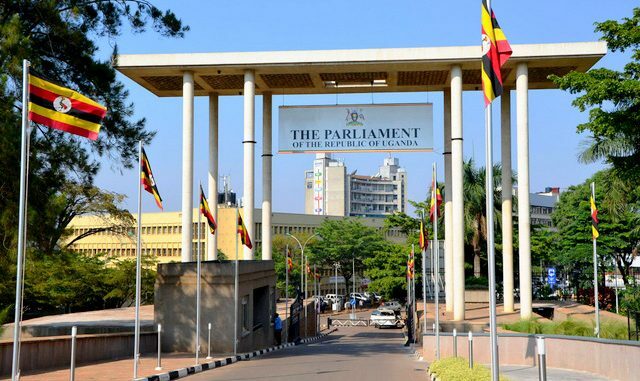 KAMPALA – A section of Members of Parliament (MPs) have warned against approving the UGX280b meant for the purchase and delivery of the two Bombardier jets to be used by Uganda Airlines until the owners of the company meant to run the airline are known. The warning was made by Ms. Joy Atim Ongom (Lira Woman) and Ms. Winfred Kiiza (Kasese Woman) who authored the minority report in which they pointed out loopholes in the shareholding of the company that is meant to run the airline warning that failure to have the irregularities addressed, will see taxpayers lose colossal sums of money. Ms. Atim told Parliament that there is need for government to first table proof regarding the identity of the person owning the business after discovering that Uganda National Airlines Company Limited has two million shares worth UGX200m but government only owns two shares allocated to the ministries of Works and as well as ministry of Finance with calls to know who owns the rest of the shares. She informed Parliament that the share capital of Uganda National Airlines Company Limited is UGX200 million divided into 2 million shares of UGXl00 and of the 2 million shares, only 2 shares worth UGX200 to the minister of Works and Transport as well as the ministry of Finance. “This makes both ministries to be minority shareholders holding only 0.0001% of the shares. At the moment the owners of the 99.97% shares are unknown. The owners will only be determined when the directors decide to allocate the shares. It was asserted that the majority of shares will be floated to the public. However, contention arose as to whether the minority shareholders can float what they do not own. It was however asserted that this move was undertaken to limit the liability of the government,” Mr. Atim said. Further scrutiny of the company documents revealed that the shareholders appointed Directors of Uganda National Airlines Limited in their individual capacities Mr. Keith Muhakanizi and Mr. Bageya Waisa with the minority report expressing surprise at why these particular individuals were preferred over the government’s business arm like Uganda Development Corporation that would ordinarily be best suited to manage the airlines. Yet still, the two MPs were astonished by contents in Article l7 and 18 in the Article of Association that empowers the current directors who were already appointed in individual capacity to have powers to decline registration of transfer of shares and may decline recognition of any instrument of transfer arguing that this particular clause may pose a future risk of abusing the authority accorded by selectively determining shareholders. Yet still, the Committee discovered that the Company will be trading as Uganda Airlines yet in the recent past, it has been reported that Uganda Airlines was already patented by a citizen with Ms. Atim noting that the development raises concerns as to whether the funds requested if approved may not be claimed by another business and although the Committee requested for assurances and evidence that government owns the business name, no proof was given. The report from the minority MPs conflicts with recommendations from the majority MPs on the Budget Committee who called for the supplementary funding to be approved in order to fulfil the purchase agreement signed with Bombardier (one of the aircraft manufacturers). While presenting the Majority report, Mr. Amos Lugoloobi, the chairperson of Budget Committee said that in order to meet the final payment for the two Bombardier aircraft USD20,775,OOO is needed for each of the two aircraft in March 2019, and there is also need to refund the capitalisation cost of Uganda National Airlines of USD29.9m and USD5m required for the spares for the Bombardier, which total to USD76.45m (UGX280.05b). Although the majority MPs recommended for the passing of the supplementary funding, Committee tasked government to ensure that the Uganda National Airlines Company Limited should allow all the share to the two shareholders ministry of Works and Ministry of Finance to be divested to them to the public on the stock market. The company should match the current investment capital with the shore capital of the company and also have the directors clearly stated as persons acting in their official capacities not as individuals with calls to have government should expedite the process of appointing the full Board of the company.